This week, The Daily Post wants me to detail a three to five step process, and illustrate each of the steps with something visual. I’m going to show you how I draw stuff on the computer in Illustrator. 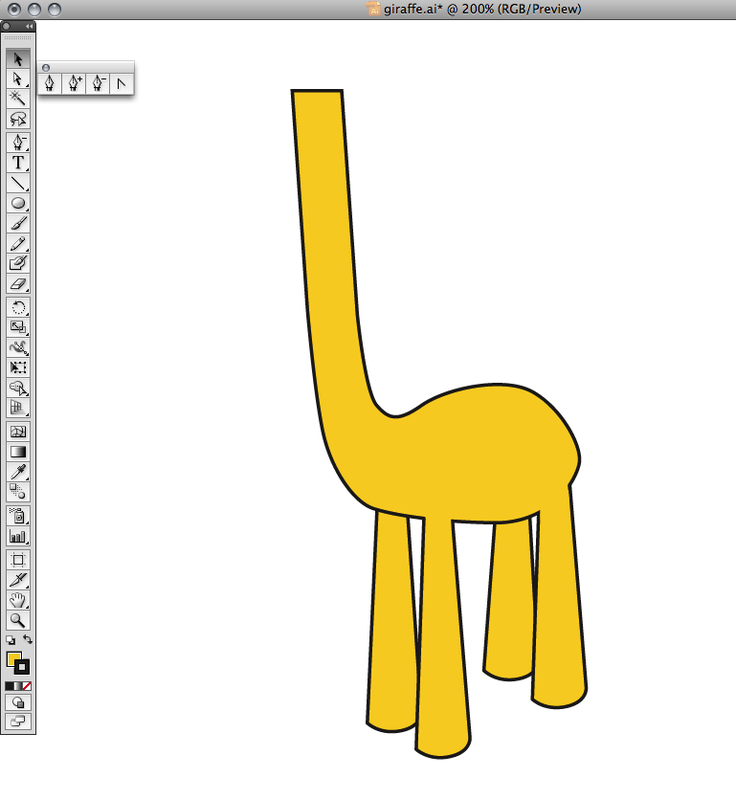 Today, we’re going to make an animal. 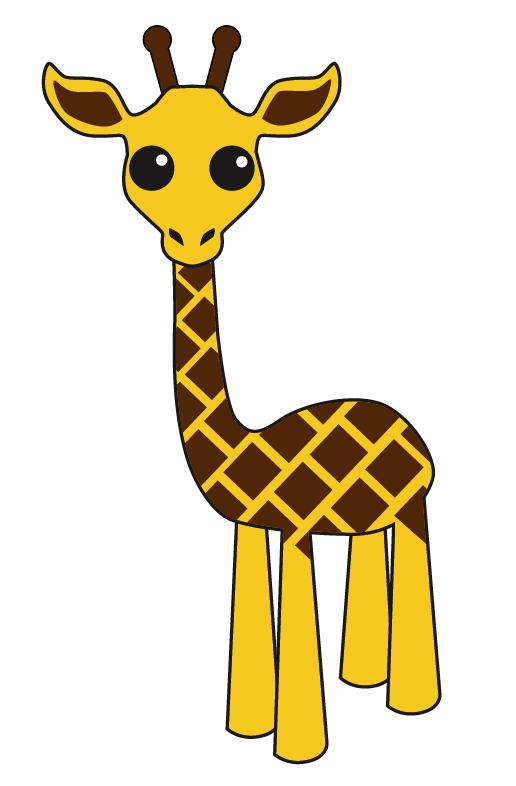 How about a giraffe? 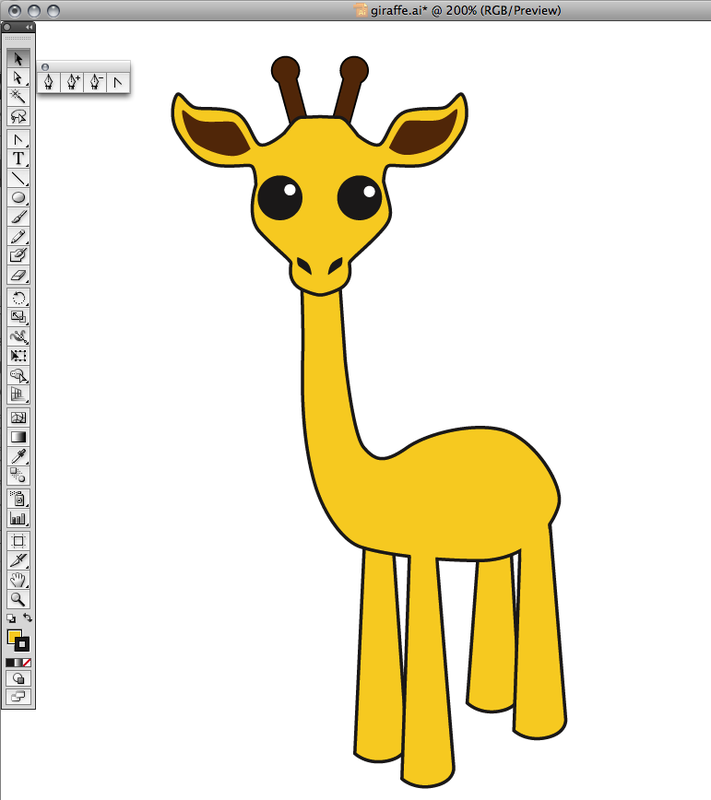 Contrary to the title, this post probably won’t help you draw a giraffe. They’re all different, but together, they represent my drawing style. When you see them all together like that, you can probably guess that they were done by the same person. 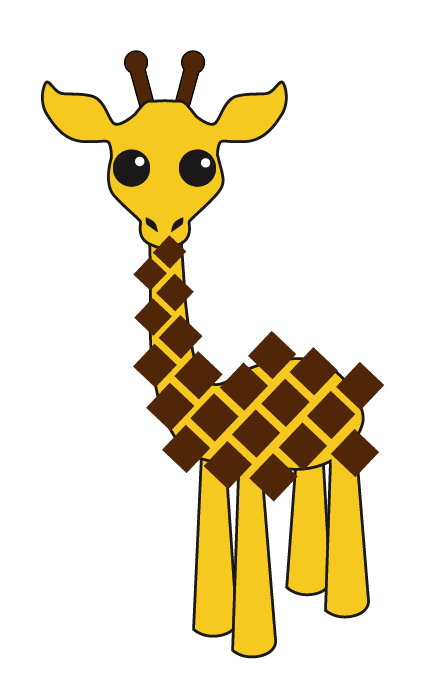 Let’s get started with our giraffe. They are strange looking, aren’t they? Yay! I’m pretty happy with it, but we’re not done yet. 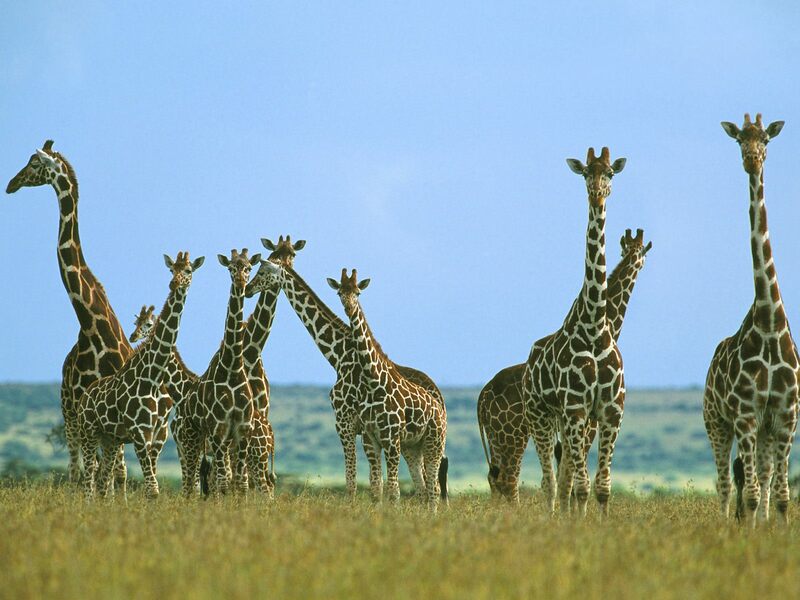 The giraffe doesn’t have any of its distinctive markings. 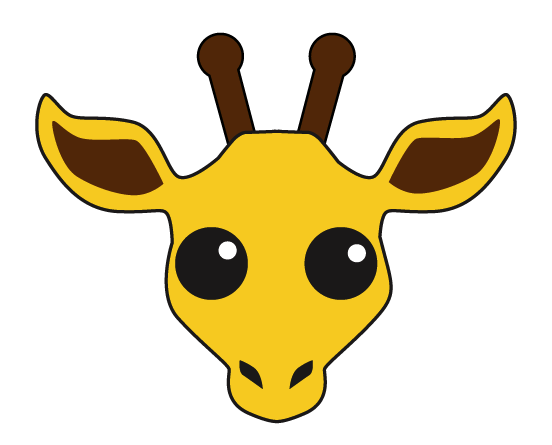 …And we have giraffe! 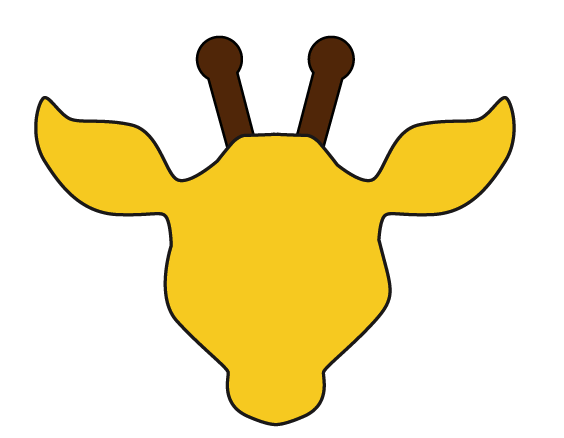 Giraffe is go. What should we draw next? You may purchase Mr. 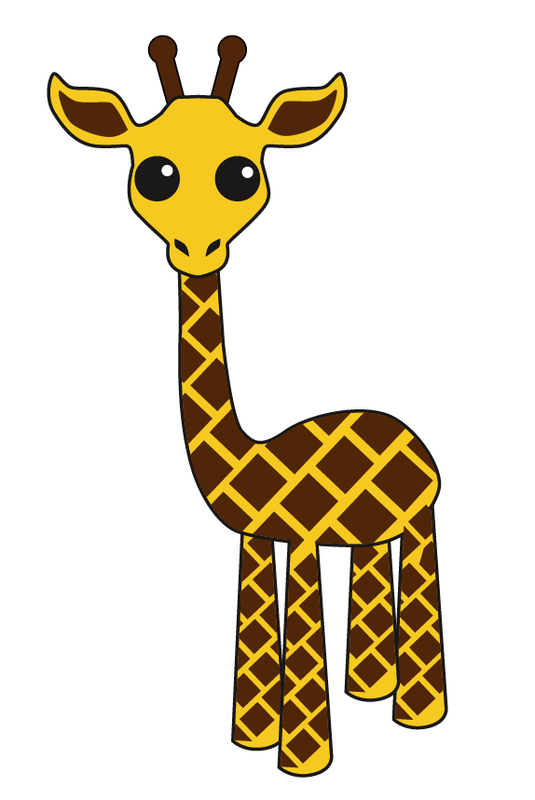 Giraffe over at my Redbubble store on a selection of fine products. 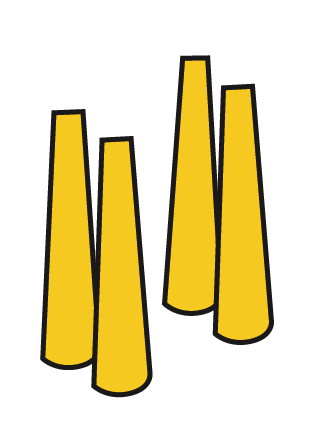 Posted in DPChallenge, drawings and tagged drawing, Graphic design, Illustration. Bookmark the permalink. Amaaaaaaaazing! Your giraffe is fantastic! love it!! how about a dragon?? Oh, yes. I definitely need to do a dragon. Yay! I’ve just finished a kids’ story about a sea-wyvern & I was already thinking your lilac winged taloned creature in 1st pic looked quite like one. I see the joy of Illustrator now – can you just go ‘ok grey-green instead, long tail with fish fin, sea horse head, head, save as…’ ? Do you have a massive portfolio on yr computer? I do have a massive portfolio on my computer of finished and unfinished projects, both freelance paid projects and just messin’ around stuff. Well there you go – a wyvern is meant to be a left over pterosaur like Nessie is meant to be a left over plesiosaur! Great stuff. Thanks for sharing your process. You make it look so simple. Love your giraffe! Thanks. Leisa named her Molly. You make it look soooooo easy. I was trying to use illustrator the other day to draw a cupcake and, well, lets just say I had to admit defeat and I wasn’t very graceful about it. 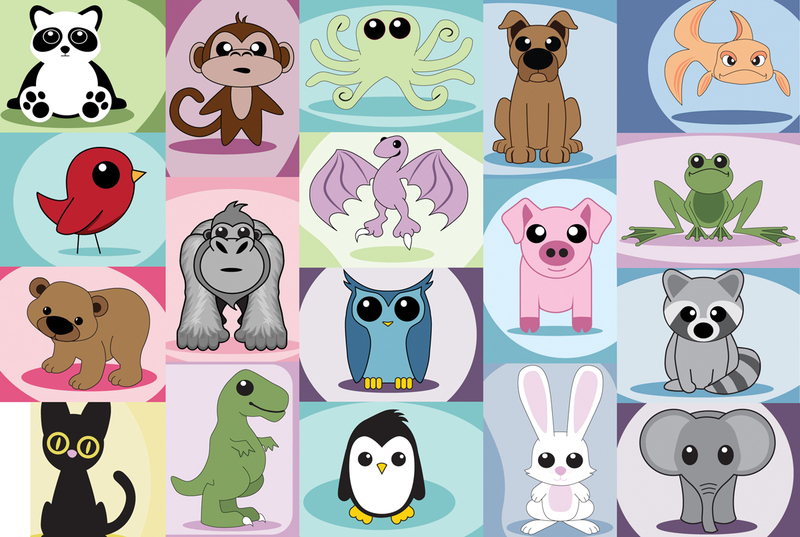 All the little animals are so cute, I want to scoop them all up and hug them. Clutching the computer screen to my bosom as we speak. Makes it a little difficult to see what I’m typing, so I hope it comes out okay. HA! Illustrator does take a LOT of practice. Specifically, the pen tool. I was intimidated as hell when I first started messing around with it, but now I’m a master. It took a lot of practice to get there. Don’t give up! Brilliant!! I love your giraffe!! He/She is very cute!!!!! You make it look/sound so easy!! 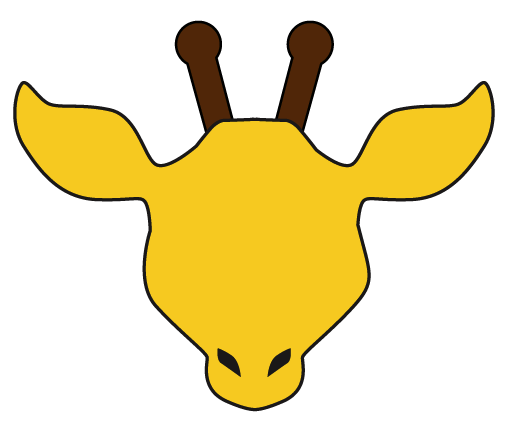 I was thinking the giraffe’s close-up does look a little like the dragon face…only with fur. A little bit. They are very goofy looking though. I don’t tend to think of dragons as goofy. Yeah, what are those antenna things on their heads? So…you’re saying that they’re aliens or something? Adorable. Easily my favorite answer to this week’s challenge. What program are you using to draw that? Also, do you draw it with a mouse or do you have some type of touch pad? Adobe Illustrator CS5. I have a Wacom tablet ( http://www.wacom.com/products/pen-tablets/intuos ). Can it be done with a mouse? Is it even worth it to try? How much does that tablet cost? It can definitely be done with a regular mouse. Sometimes, at home I draw with my laptop mouse because I’m too lazy to plug in the Wacom. I wouldn’t bother investing in a Wacom unless you’re a professional. How does it turn out compared to the tablet? The same. I made your little stormtrooper in Illustrator with a regular mouse. Learning to use a Wacom is a skill all on its own. I mostly use my pen in Photoshop work like drawing in hair and adding details, not necessarily for drawing. 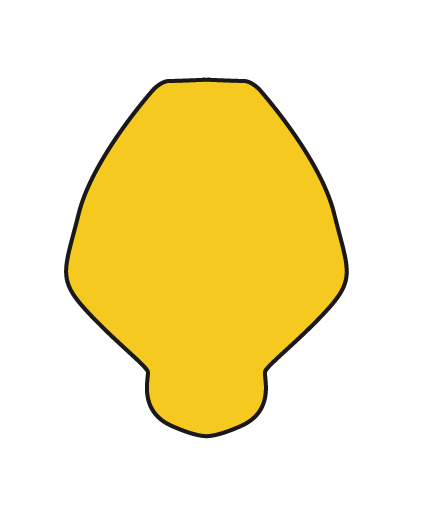 The pen is pressure sensitive which is great for Photoshop, but not really needed for Illustrator. If you want to play, I’d recommend just using a regular mouse. So adorable, Goldfish. You could make some money by drawing the 12 Chinese Animals and making a calendar. You already have a dog, dragon, monkey, rabbit, and pig. Maybe a snake would be next, since it is the year of the snake. But I vote for a Fox next. I’m sitting here wanting to clap my hands like a child. Not only am I delighted, I’m duly impressed. You make it look so simple to do, yet I know it is far from simple. 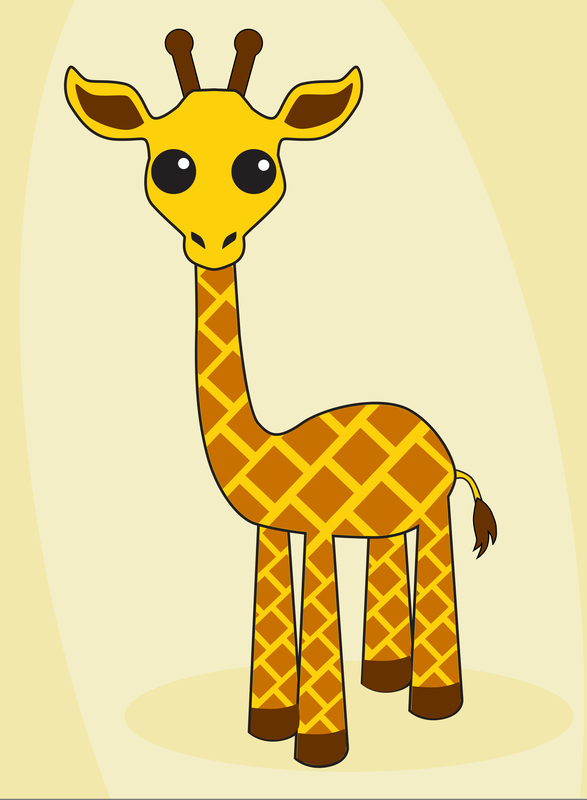 In addition, as I scrolled and landed on the close-up “real” Giraffe I literally giggled out loud. Then when I read beneath where you said they were “goofy” I busted up entirely. Bravo! Thanks. It’s not easy. I just lucked out that I got this one right no the first try. OK. I haven’t done any insects yet. I must apologize for something. I have admired your header graphic since I was introduced to you by Rara and although I have read several of your posts, I didn’t realize you created the graphic. I love your work!!! The fishy in particular conveys my attitude most mornings :p … I wish I had your talents. In my mind I have so many images I wish I could spit out onto the screen or some paper. I am an artist, but my medium is pencil and charcoal and I primarily do realist type sketches of people (mostly women). Can you suggest any free programs that i could play with to maybe teach myself a few things? Thanks! I created the header font, too. And where it says “welcome to the fishbowl” is just my handwriting. I use Illustrator, which is far from free, but I’m sure there are some comparable apps out there. People speak highly of Gimp, which does most things Photoshop does. And I’ve heard that http://inkscape.org/ has a decent Illustrator-like app. I really don’t know. I haven’t bothered with any of the others. The good news is, they’re free so if you don’t like them, no loss. LOL thanks, I will poke around! HA! Thanks. Actually, I find it way easier to draw digitally than traditionally. The undo button is a huge plus. I had to stop by one more time and look at the Giraffe again 🙂 It makes me smile..
And thanks for posting … in all the darkness of my blog.. there will be a giraffe to brighten my day.